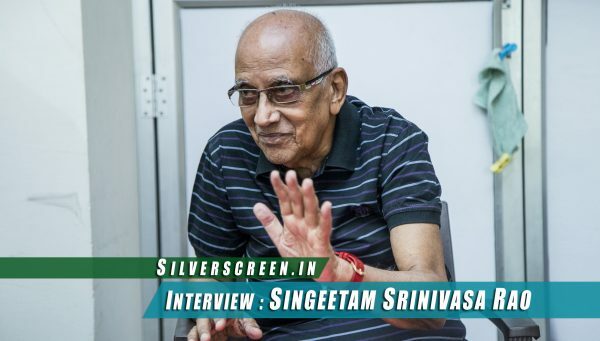 Excerpts from a post-release interview with the filmmaker, who has had to deal with feedback as varied as ‘Thank you for giving us back our Rajinikanth’ to ‘This does not feel like a Karthik Subbaraj film’. 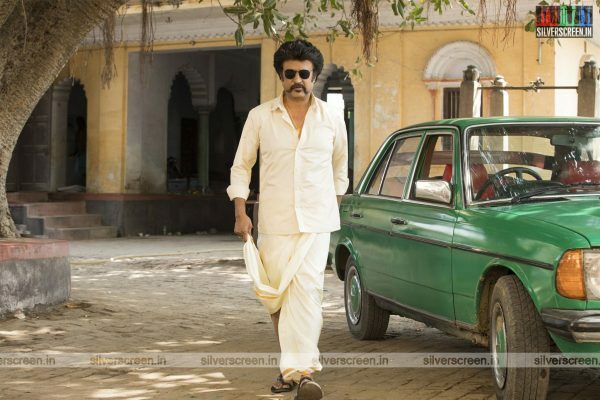 And yes, years after Jigarthanda, you finally hear ‘Petta Paraak’ and not ‘Paandinaatu Kodi’ as the ring tone when you call Karthik. Karthik Subbaraj with Rajinikanth on the sets of Petta. Yes, as a fan-boy tribute, the cross-references were essential. There are some things that are intrinsically Rajini and I wanted them. That said, some things were serendipitous. The day before we began shooting, we were discussing what to shoot on day one. I wanted it to be a memorable one, but never thought it would be that of a gate opening. It so happened that we had decided on a scene where Sir walks along a pathway, and I discussed it with the art director and DoP. There was the dialogue, ‘Paaka thaan poara….’ And then I wondered if it would be nice if there was a smaller gate near the big one that could be opened at the end of the scene. And, the team hastily put up a door there. The shoot was full of such instances. This was a set where a lot of the magic happened during shoot. Thalaivar loves improvisation, and once you see his performance, your perspective changes, and new ideas sometimes emerge. They end up working well too. And, he loves this process of discussion. What do you have to say about criticism that this is probably not the film you meant to make? That the first half is a Rajini film and the second a Karthik Subbaraj film? Really? This is the first big hero commercial film I’m making, and I knew this is how I wanted it to be. Even if the first half is a throwback to the Rajini we grew up watching, the character is not a linear one, not your typical hero. There’s a hint of grey, some arrogance, eccentricity and a sense of mystery. He’s lost a lot in life, and when he is faced with something far minor in comparison later, he almost finds it amusing. He can still laugh, and like or love someone, because, like he says, ‘Kadandhu poradhu thaan vaazhkai’. (Life is about moving on). So, the core of the film is about someone who is not uni-dimensional, something you realise in the second half. So, yes, this is very much what I set out to do. Yes, not just the box office success, but the entire process of making it. The joy we experienced while making it is the best takeaway. Rajini sir told us after shoot that he thoroughly enjoyed being with us. And when shooting, the team could see that he really enjoyed working in some scenes. He would say, ‘semma energy, semma-a irukku. 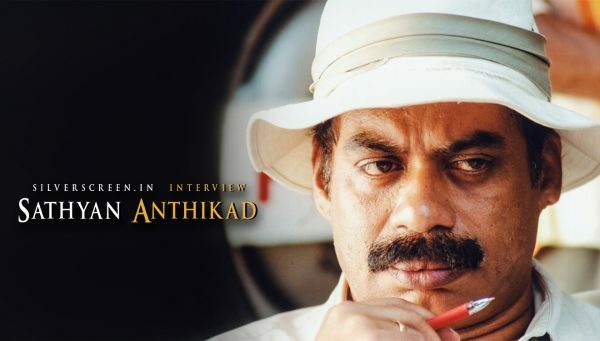 Indha maadhiri scene pidikkum. I enjoy performing these…’. Personally, I believe fans are seeing that energy on scene, because it was genuine. Also, we are a very young team, and there was great positive energy on the sets. When we finished shooting the scene in the hostel and his first dialogue sequence, all of us clapped and whistled. His make-up artiste Banu would tell me that in every set, the direction team would expect silence, but here, we led the whistling and screaming. I’ve always loved Thalaivar’s love montage songs. There’s a special charm when he walks, hand in his pockets, thinking of something. And so, we shot about six or seven such scenes. We shot him strolling in the mist in Darjeeling, walking with a coat on, holding an umbrella… hoping we would use them somewhere. We originally cut the visuals with ‘En Iniya Pon Nilaave’, but the ‘Ilamai Thirumbudhe’ song came much later. The visuals looked evergreen, and evocative of his past gems. How do you react when people say the Karthik Subbaraj of Jigarthanda and Petta are two different people? No, I don’t get upset. I think I made a film with the grammar and scope demanded of this genre. And, your response to the criticism that the women, especially Simran and Trisha, got shortchanged in the film? I think the women are all strong, though the screen time and scope might be less. In my opinion, Poongodi (Malavika Mohanan) is the strongest. She wants revenge for her father’s death, but flees to Australia with her child when her love is killed, raises him well and is determined to defeat the bad forces. Simran’s Mangalam is a single mom who has learnt to live her life independently and have fun while at it. After all, this is not Iraivi, which was rooted in relationships. 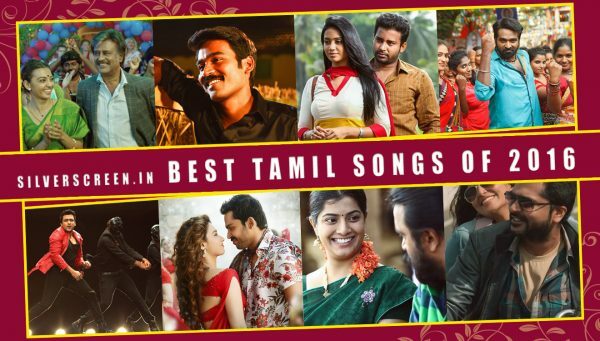 Talking of Iraivi, does its commercial failure still rankle? It bothers me, surely. The thing is I would not have minded had people seen the film and then said it was good or bad. A combination of forces worked against the film. I still don’t understand why, though. There was an issue right on day one with the producers… So many people have told me the film changed their life, that it brought about a transformation in attitude. I knew I had made a heavy film and that the climax was hard-to-digest. How important are producers in your scheme of things? Very, very important. Because, for a good film to happen, you need someone good as producer. As a director, I’ve mostly been lucky. I’ve had CV Kumar, now Sun Pictures… for a film with this kind of budget, I needed that kind of support. 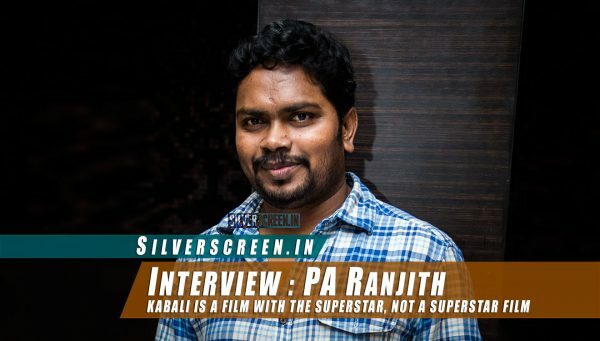 Especially, because with Petta, I had just 10 months to finish and release the film. Is there something about Petta you wish you could have done better? Logically, no. Yes, I saw a tweet that said the paper cone that held groundnuts was from different newspapers in the same scene. That was a miss. But, the logic and continuity was in place, I believe. Because, we worked a lot on it, and Thalaivar likes to be satisfied that it is logical. Do you feel you had to make certain compromises because it was a Superstar starrer? I won’t call it a compromise. A compromise is a problem. But, this is what I wanted to do. Basically, this is a story of revenge served cold, with a hint of mystery. Yes, the same story can be shot differently. There is a difference in nuance, always. I could have changed the opening scene, and shot it without a mass element, I could have made it deeply emotional. But, I don’t know if it would have worked with a big hero. The treatment you choose to give a film is not a compromise, it’s a call you make. Most importantly, it was a choice to make the film this way, not a compulsion. Yes, I wanted that. Along with the music. Suresh Krissna had designed it and the rights were with Kavithalaya. We got permission to use it. The logo is very important, because it prepares the audience for the kind of Rajini film they will be watching. People have come up with a lot of trivia about the film, they’ve read a lot into some scenes, presumed some references. Were all of them planned or were some just over-thinking? Ninety per cent of what you saw was intended. The rest was incidental. For example, the Muthu Watches Board. The number 165 on his prison uniform was a last-minute addition, thanks to my assistant director Purushoth. It gelled well with the fact that this is his 165th film too. In recent times, which look of Rajini have you personally liked? I loved his look in Kabali. Also, in the second half of Sivaji. Some actors are regulars in your films. 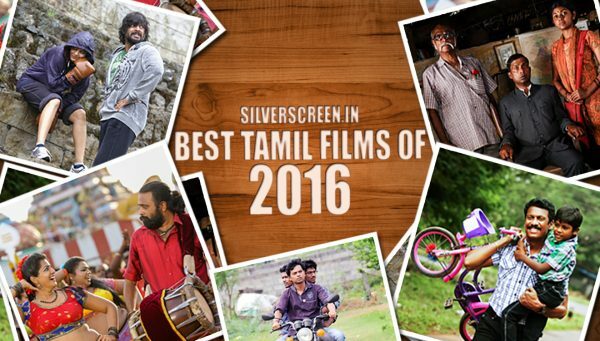 For example, Vijay Sethupathi, Bobby Simha, Guru Somasundaram… are they always essential to your storytelling? I like familiar faces. When there is scope I always use them. After all, we all started off together. Was it your wish that you had to get SP Balasubrahmaniam to sing for ‘Marana Mass’ in the film? Yes, it is a huge nostalgia trigger to have him sing the opening song. I wanted the magic of his voice, even if it was for just some lines. Having watched the film more than a 100 times so far, are you still interested seeing it? Well, even after all those screenings, I still get thrilled when I walk in during theatre visits and see some scenes on screen. I confess, I smile. It’s still sinking in that yes, I made a movie with Thalaivar. The response has been so emotional. This kind of love for an actor is rare. 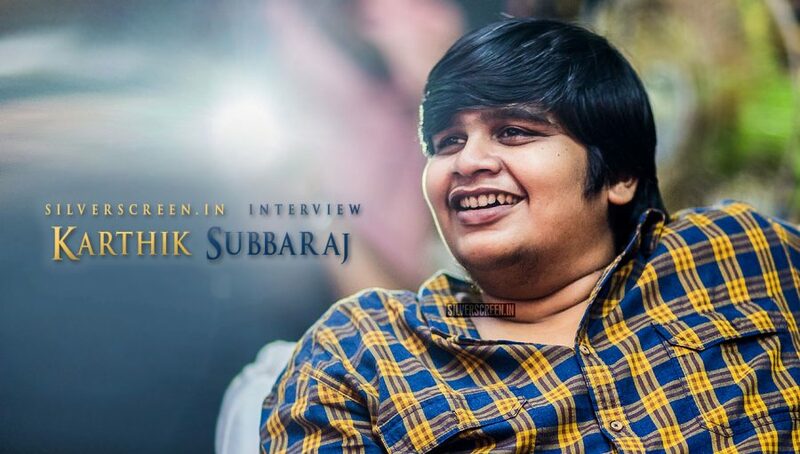 The Karthik Subbaraj interview is a Silverscreen exclusive.